This article is a review of NEW WORLD. The writer behind I SAW THE DEVIL was always going to have one’s attention, having created a devastating and brutal take on revenge shepherded by director Kim Jee-Woon. Here, Park Hoon-jung directs his own script. And what a thriller he has fashioned. Set in the modern world of cops and gangsters, he still manages to riff on a major theme in CONAN THE BARBARIAN, as well as BREAKING BAD. The opening sets out the film’s stall. A man is being tortured for being a rat. The criminals are trying to find out who else has inveigled themselves into the organisation. The victim is force fed what looks to be liquid concrete. The squirm-inducement quickly demonstrates how brutal proceedings might go, and what the stakes are: No clean deaths for those going against the underworld. These gangsters have a veneer of respectability, operating a major corporation, Goldmoon. (A satirical swipe? We are told at the commencement that these are fictitious characters.) It is the biggest crime syndicate in Korea. Seok Dong-Chool (Lee Kyoung-Young), the head of the business, has just died, causing a power vacuum. The hospital revelation of his demise is akin to the dinner party sequences in many movies – it sets out character traits and motivations. We witness the reactions of the two most likely candidates to take over: Jang Soo-Ki (Choi Il-hwa) – ferocious and cold - and Jeong Cheong (Hwang Jeong-min) – brash and young. 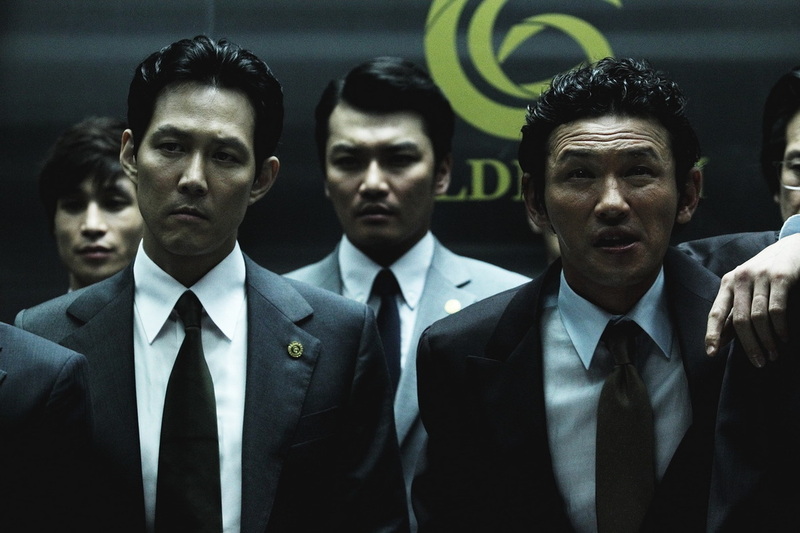 The latter has a formidable right hand man in Lee Ja-sung (Jung-Jae Lee). The mise en scène in the waiting room impressively showcases the power of the gangsters (and the director); both when moving fluidly, and at repose oozing quiet menace. Relationships and stalls initially appear solid. 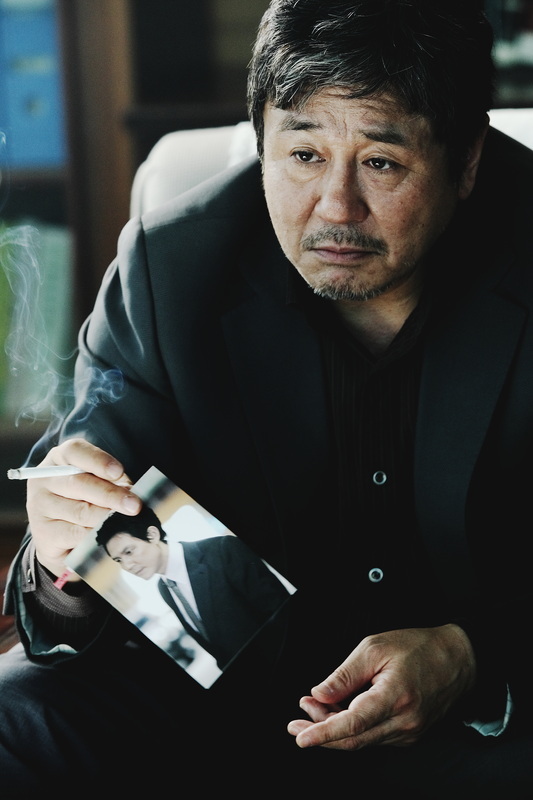 Lee Ja-sung is actually an undercover policeman inserted into the crime syndicate eight years earlier. His wife is pregnant and is now keen to re-insert himself back into normal life. Looking at the desperation on his face, you have to wonder if that is even possible. His boss, Section Chief Kang, orders a final job, which turns into another task. The superior even threatens to reveal Ja-sung’s real identity. Kang is an ends justify the means kind of guy. 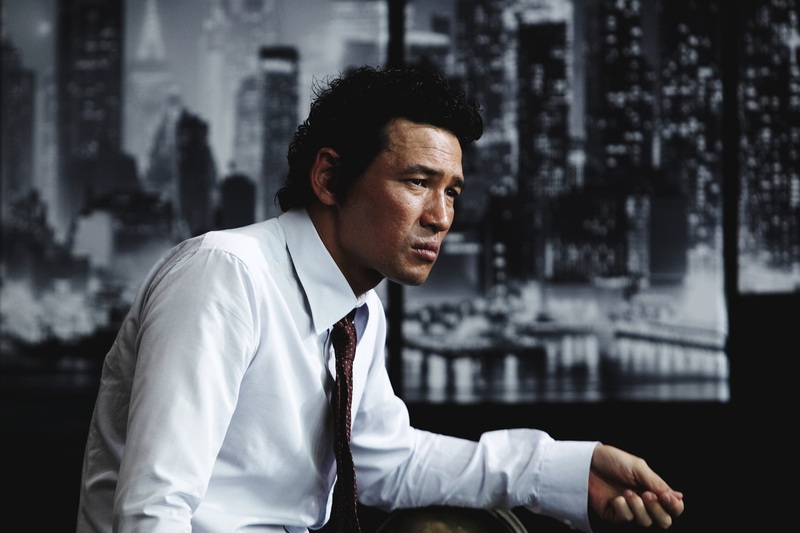 Choi Min-sik (OLDBOY) has real range; the audience is always re-assessing what shade on the morality spectrum he sits in. Kang wants to manipulate, using Ja-sung, the election for the head of Goldmoon. Realising there is no point in continually arresting a potentially revolving door of leaders, a police-friendly or inept head would likely prove fruitful (to his mind). And so a grand game is to be played out before us. There are feints, slights of hand and murder. Who can Ja-sung rely on? All taking a toll. Of course the violence escalates. An epic brawl in an underground car park, in particular, is extraordinary. As NEW WORLD progressed, one suddenly had an ending in mind that was desired, but not dared hoped for; but lo and behold the filmmakers delivered it. Wow.